1. Do I need pet insurance? 2. What does pet insurance cover? 5. Can visits to the vet really cost that much? 6. Ok, so how much does pet insurance cost? 7. Is pet insurance worth it for a dog? 8. What happens if I need to make a claim on my pet insurance? 9. How can I get cheaper pet insurance? 10. What else does pet insurance give me? 11. What isn’t covered by pet insurance? 12. What are the alternatives to pet insurance? 13. Ok, I’ve decided that I do need pet insurance. What’s the best company? In the UK, there is no legal requirement to have pet insurance. So why do 6.6m pet owners choose to buy it? Most people who decide to get pet insurance do it to get help with unexpected vet bills. By paying a pet insurance company a set amount monthly or yearly, you don’t have to worry about covering the costs of vet treatment yourself if your pet becomes unwell or is in an accident. Check out all our unique pet insurance policies. But there is another important reason to consider pet insurance if you have a dog - liability cover. As a dog owner, you are legally responsible for anything that your dog does. So if your dog bites someone, harms livestock, damages property, or runs out into the road and causes a traffic accident, you are liable for all the costs and will need to find a way of paying for them. Remember Fenton? Pet insurance helps with this by providing a type of insurance called public liability insurance (also known as third-party liability insurance), which pays out if these sorts of incidents occur. In the most extreme cases, these costs could run to millions of pounds when you take into account damages and costly legal fees. This isn’t a factor for cats, as the law sees them as free spirits and doesn’t hold owners responsible for their behaviour. If your main concern is public liability insurance for a dog, we've launched a Liability Only policy that starts at around £10 a year. There are companies that offer pet insurance policies focused on liability. We have launched cover that is priced on the size of your dog and starts at just over £10 a year. Get a quote for Bought By Many's third-party cover. Can visits to the vet really cost that much? These are the kinds of situations where pet insurance proves its value. Ok, so how much does pet insurance cost? Basic pet insurance can be as little as £3 a month, but the costs vary enormously based on the type and breed of your pet, where you live, how old your pet is, and how much financial protection you want. An older, large dog, such as a Great Dane, living in London could cost as much as £80 a month to insure. On average, UK pet owners with pet insurance pay about £20 a month. For more on average prices, read our article on the cost of pet insurance. Pet liability insurance is usually included in the cost of policies aimed at covering vet fees. However, we've created a separate policy that only covers public liability claims up to £3m, which makes it much cheaper. 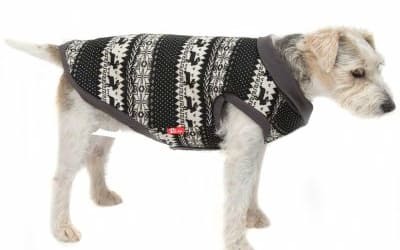 Prices are £11.20, £15.68 or £22.40 a year depending on the size of your dog. Find out more and get a Liability Only quote here. It is designed for people who do not want to pay monthly or annual premiums for pet insurance, perhaps because they put money aside for vet treatment, but understand that liability claims can cost much more than most people are able to save. We have a £250 excess for Liability Only claims. The excess for liability claims can sound expensive but it's important to remember they may be much higher than standard vet fee claims. Is pet insurance worth it for a dog? Pet insurance is designed to cover costly and unexpected vet treatment. Deciding whether it's worth it or not will depend on your personal circumstances, the health of your pet and the policy you're considering. There is cheap pet insurance out there but it is likely to offer limited cover. That means if you have to claim you may end up paying for some of the treatment or the cover will end when you reach the policy's limit. However, premiums will probably be higher for comprehensive cover. Some people feel pet insurance is a waste of money because you may not need to claim. To help with this issue, we've created a policy that offers 20% of your premium back if you do not need to claim. It's worth considering the cost of pet insurance and vet treatment you may need to pay for when deciding if cover is worth it. Depending on the size, breed and age of your dog it's likely that your premium will be between £200 and £300 a year. The average pet insurance claim was £750 in 2016, according to the Association of British Insurers. It also gives the example of an English Springer Spaniel that needed treatment after falling ill from swallowing a grass seed, which cost of £3,400. Pet insurance can seem expensive but vet fees may end up costing more. What happens if I need to make a claim on my pet insurance? Increasingly, well-known pet insurance companies such as Petplan and More Than can pay your vet directly, meaning that you don’t end up out of pocket while your claim is processed. Bought By Many can do this and we're the only pet insurer to offer form-free claims with the option of an online process. For most other companies, a claim typically starts by phoning them and then filling in a claim form to give them details of the injury or illness. Most reputable pet insurance companies pay 9 out of 10 claims. One thing to bear in mind when choosing a pet insurance policy is the excess. This is the amount you have to pay towards any claim you make. It can be as little as £69 (with Bought By Many), or as much as £140. However, we have created a policy with a no excess option for vet fee claims. The excess for liability claims is always likely to be higher than the standard excess for vet fee claims. Some policies will also ask you to pay a percentage of the costs as well as the excess – particularly if you are insuring an older dog. How can I get cheaper pet insurance? There are a number of options available that can help reduce the cost of pet insurance. Multi-pet insurance - where you insure more than one pet on the same pet insurance policy is usually cheaper than insuring pets individually, as pet insurance companies offer discounts. Bought By Many offers and a 15% multi-pet discount. Check out our guide to cheap pet insurance for older dogs. What else does pet insurance give me? Pet insurance can also provide help with costs if your pet is lost or stolen, or needs to be unexpectedly put in kennels. Insurers offer a range of features that they should highlight on their websites on in their policy documents. What isn’t covered by pet insurance? It’s important to remember that pet insurance is designed to give you financial protection from unexpected costs. For this reason, it doesn’t cover the costs of routine vet treatment such as neutering or jabs. Most pet insurance also doesn’t cover any medical conditions already affecting your pet at the time you buy the insurance (known by pet insurance companies as a pre-existing condition). However, we've launched a policy that does offer a limited amount of cover for existing medical conditions. Learn more with our guide to surprising pet insurance exclusions. What are the alternatives to pet insurance? Membership of the Dogs Trust provides a number of benefits including public liability insurance for your dog. Membership costs £25 a year, so it can be a cost-effective way of getting cover for public liability if you need it. Ok, I’ve decided that I do need pet insurance. What’s the best company? Have a look at our list of the best pet insurance companies, which we created by combining the latest expert independent research. The average annual premium for pet insurance by UK dog owners is £287 - equating to just over £23.90 per month, according to Consumer Intelligence data from quotes between May 2017 and May 2018.